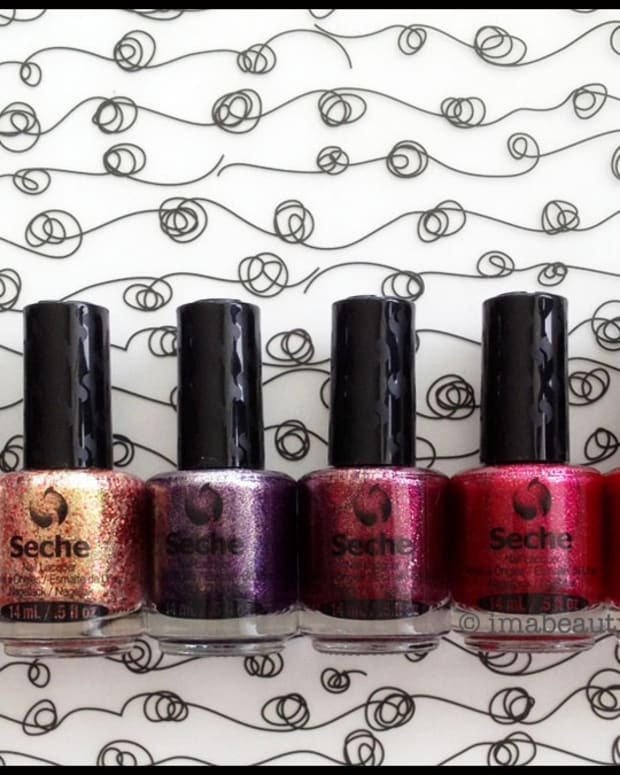 Glitter – it’s everywhere this holiday season and some brands are doing it better than others. 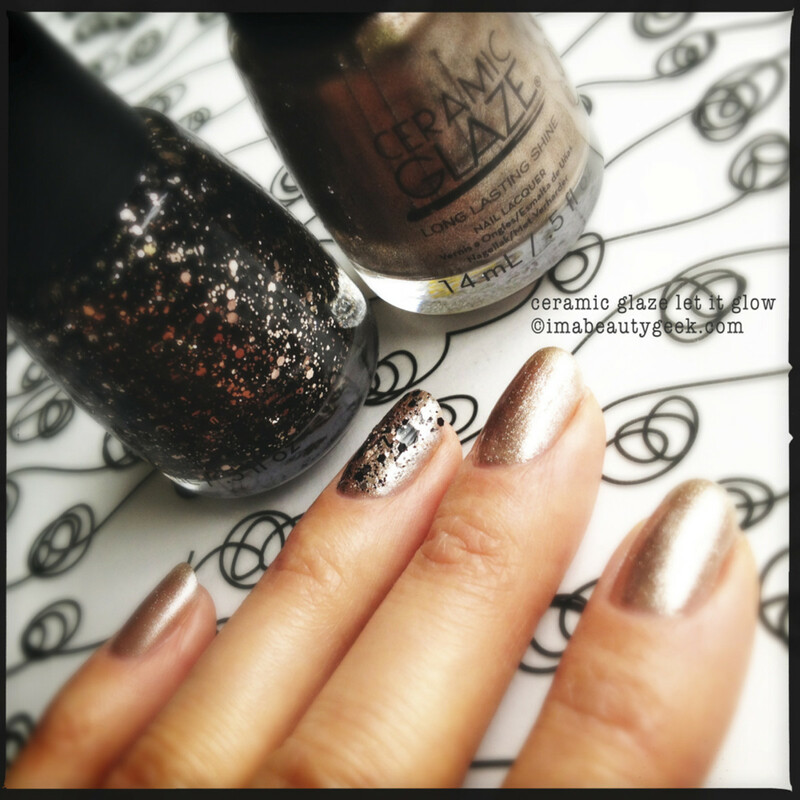 Introducing the Ceramic Glaze nail lacquer holiday 2013 collection, called Shimmer & Sparkle. 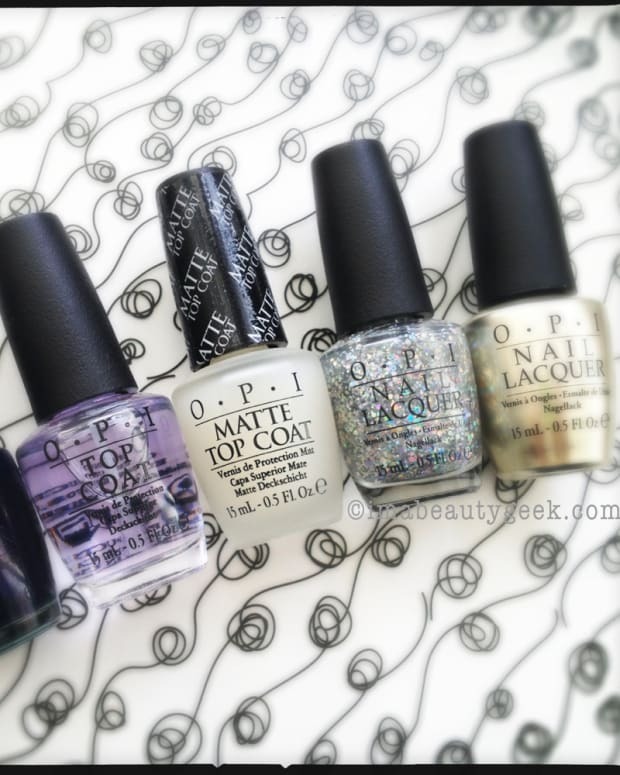 Comprised of eight shades, four are shimmery solids and four are wickedly complementary glitter coats. This is one of those brands doing glitter better than others. Ceramic Glaze nail lacquer in Let it Go with Ceramic Glaze Bring on the Bubbly Tinsel Glitter I needed 3 coats of Let it Go to get the level of opacity I prefer, but once I got there, it was worth it. Makes me think about Champagne. 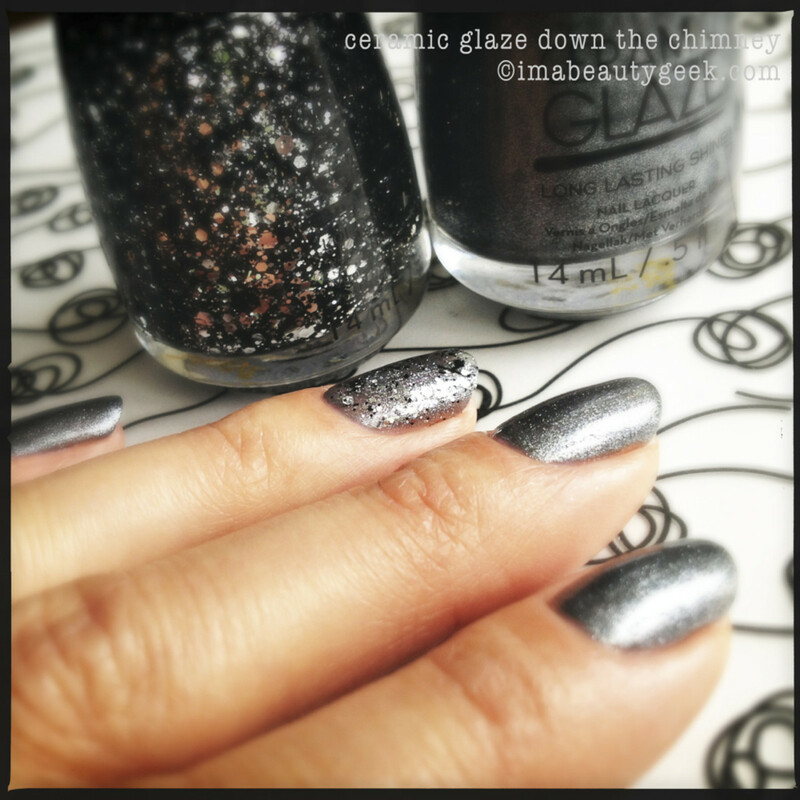 Ceramic Glaze nail lacquer in Down the Chimney with Ceramic Glaze Glitter Bells Tinsel Glitter In two coats, you too can achieve this beautiful silvery chrome shimmery-ness. 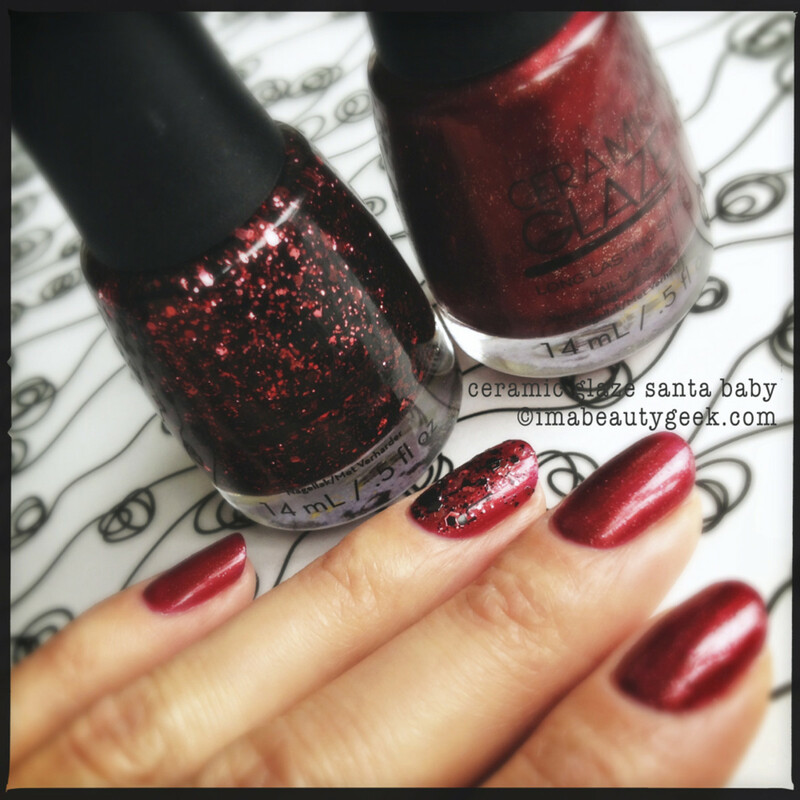 Ceramic Glaze nail lacquer in Santa Baby with Ceramic Glaze On the Naughty List Tinsel Glitter Two coats of Santa Baby got me to this micro gold-flecked pretty red, but I found the formula dried very quickly -- and while the polish itself without the glitter coat looks smooth, it isn’t. You’re going to want to top coat this shade. Feels weirdly textured without it. 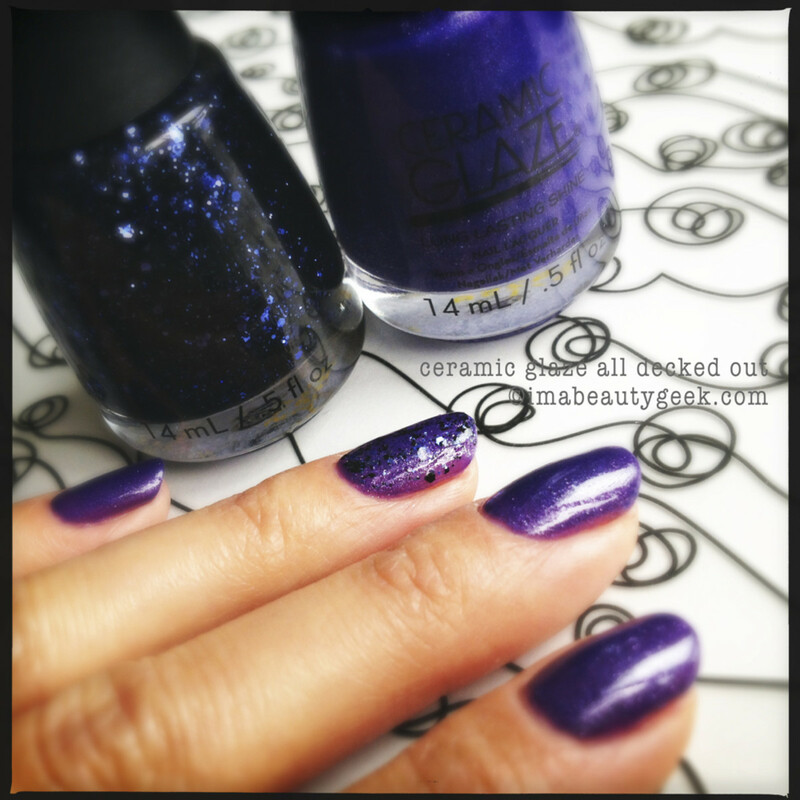 Ceramic Glaze nail lacquer in All Decked Out with Ceramic Glaze Not Mrs Claus Tinsel Glitter Oh jelly polish in grape, I love you. 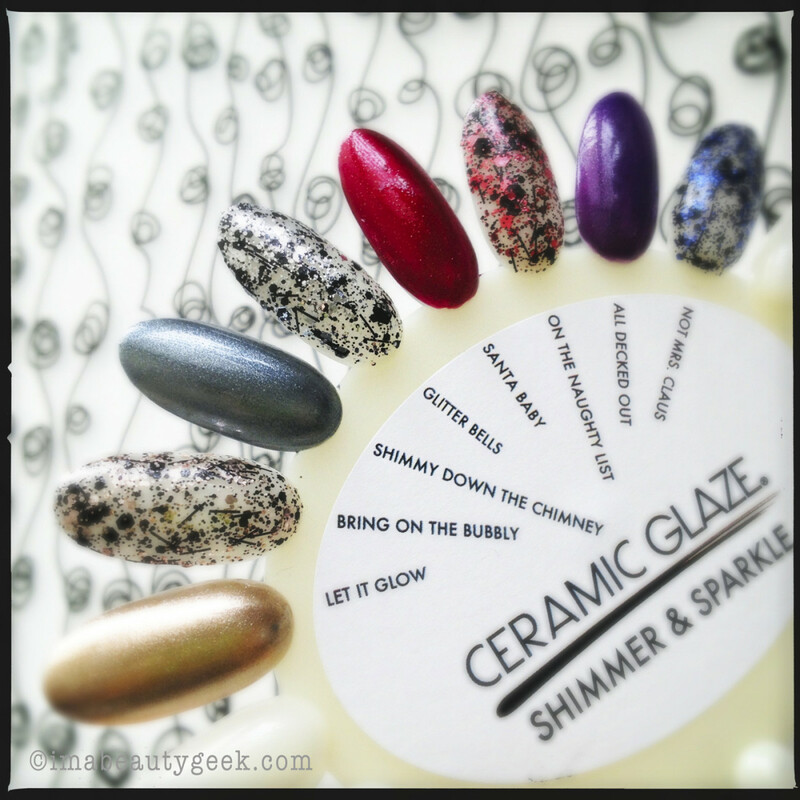 The Ceramic Glaze Shimmer & Sparkle Collection ($10.99 per shade) is available starting November 2013 exclusively at Shoppers Drug Mart and PharmaPrix stores across Canada. P.S. Ceramic Glaze makes one of my all-time-favourite pink polishes ever. It’s Ceramic Glaze Exotic Dragon Fruit and I showed it to you here. While you’re shopping for holiday nail bling, maybe pick one up for next summer? Have you tried Ceramic Glaze?